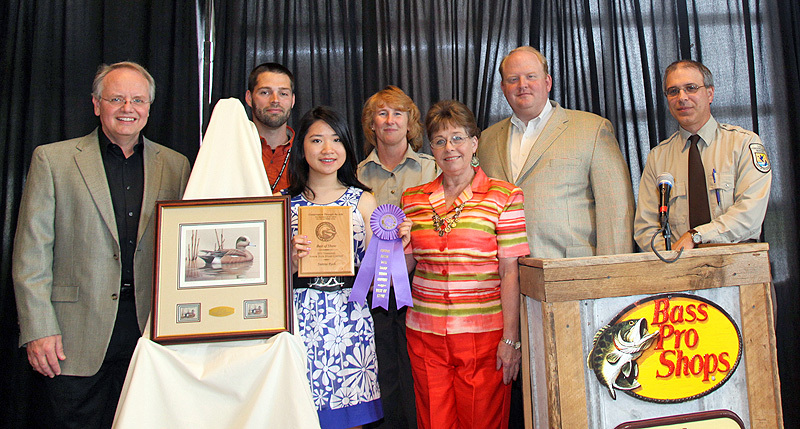 Nashville, TN – Joanna Rush, of Chattanooga is the Best of Show winner in the 2011 Tennessee Federal Junior Duck Stamp art contest. 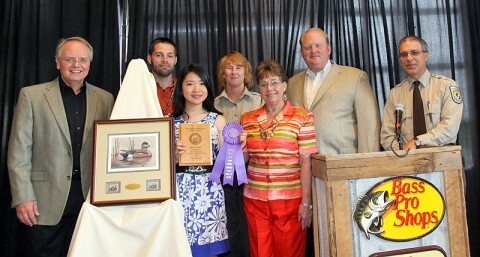 She was recognized as this year’s winner at an awards’ ceremony held at Bass Pro Shops. Joanna, who recently turned 15, is a sophomore home school student. She titled her winning artwork “Let’s Get Together,” depicting a male and female cinnamon teal in acrylic, colored pencil, and water color.